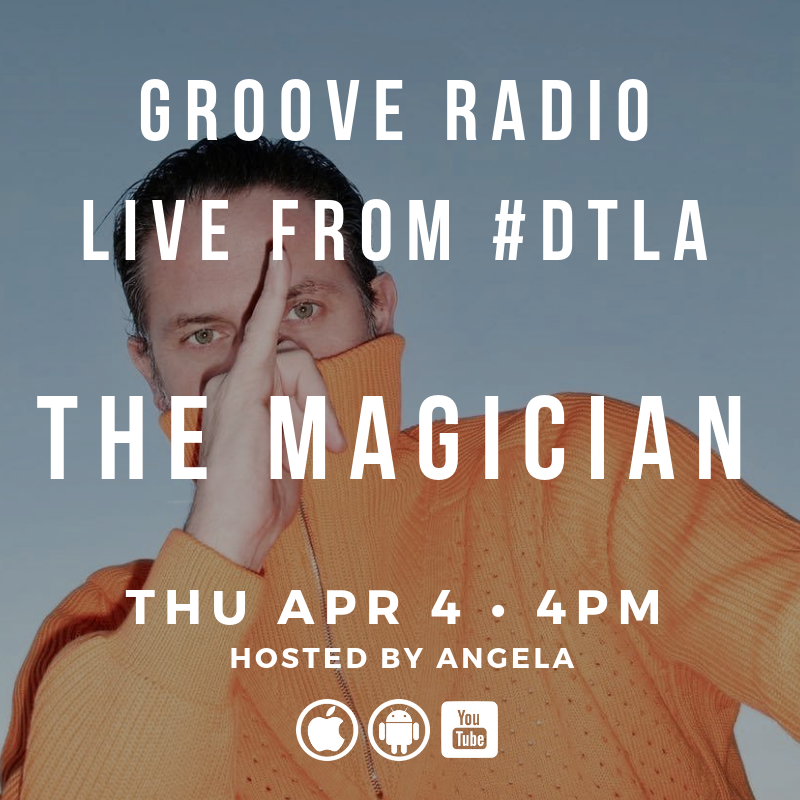 Join Groove LIVE co-host & DJ Culture reporter, Angela for an in-studio interview with special guest, The Magician. Tune-in from any smart phone or computer on the planet – just download the app for iOS or Android or click “Listen” on the menu of any page at GrooveRadio.com. You can also WATCH the video simulcast of this program on YouTube at GrooveRadioNetwork or search “Groove Radio” at YouTube.com.